Mike and I went to Rockland a couple of weeks ago to talk with Thor Emory and check-out is boat built by Union River Boatworks in Bucksport. 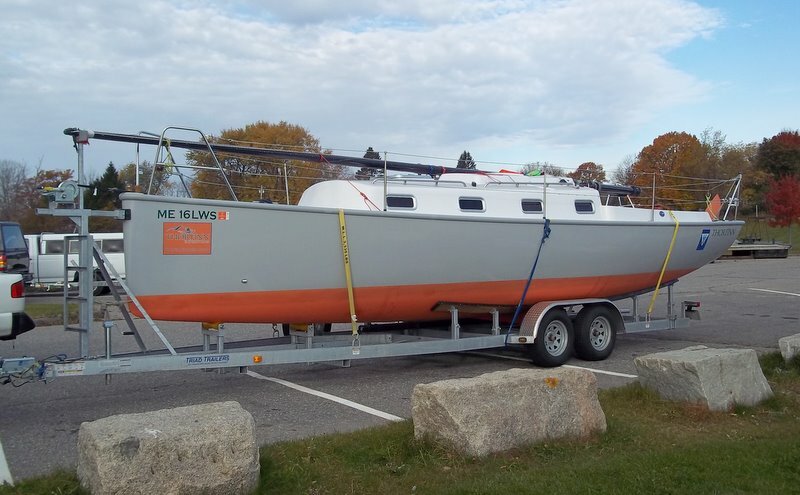 It’s 30 feet long and has been nominated for a Cruising World magazine “Boat of the Year” award. 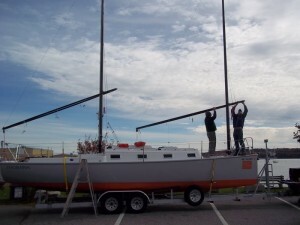 I watched and took pictures while Mike and Thor changed it from a travel trailer to sailboat. 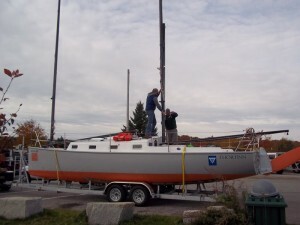 The process took a couple of hours, and I’ll try my best to describe it with these pix for help. 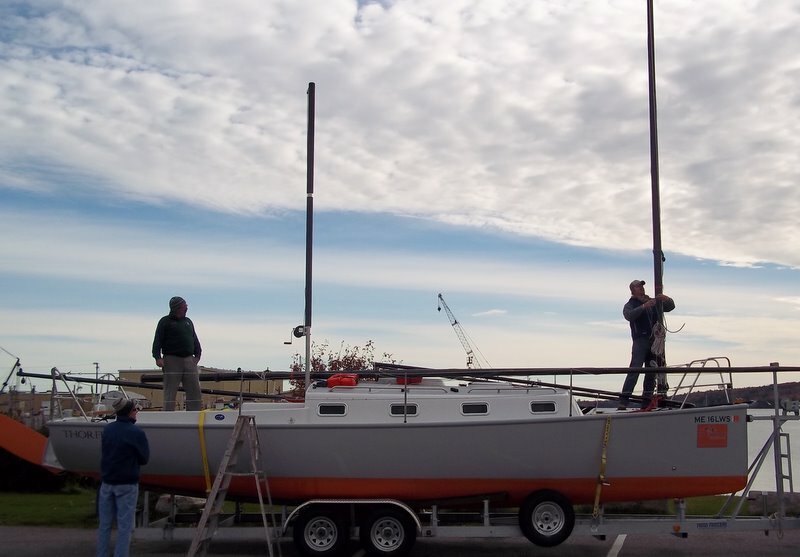 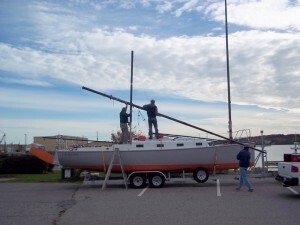 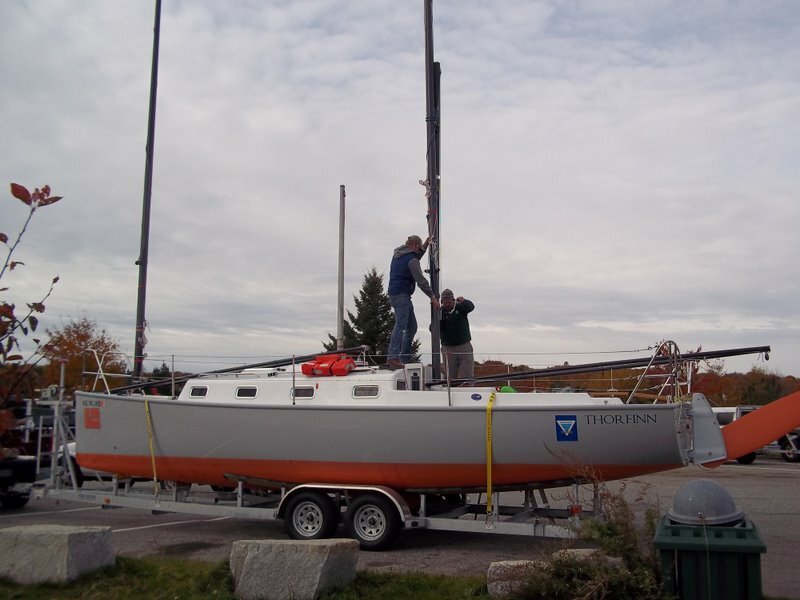 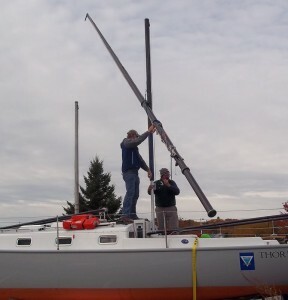 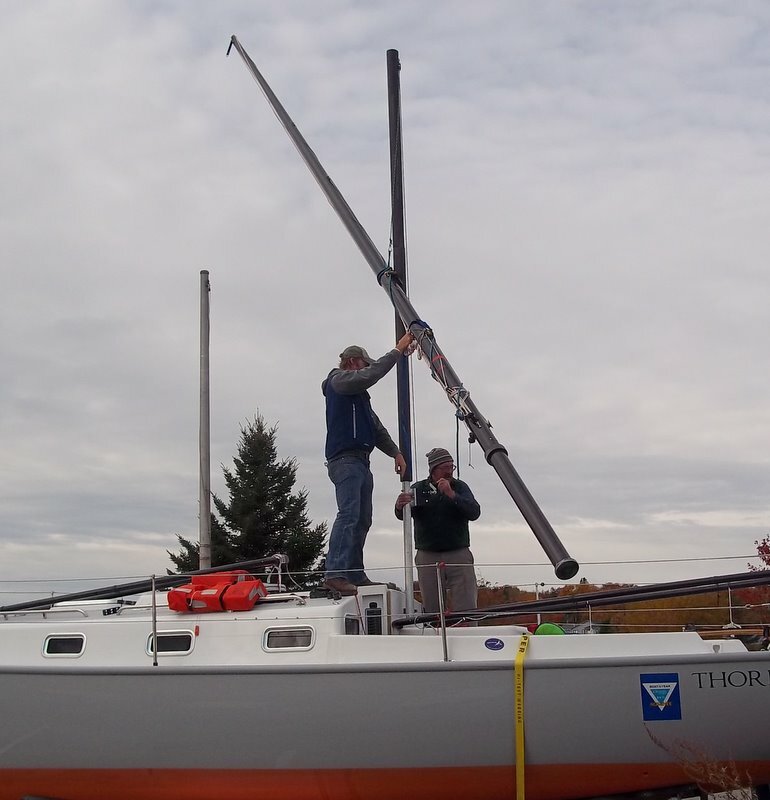 After unstrapping the boat from the trailer, the wishbone booms are brought out from below and placed over the mast holes. 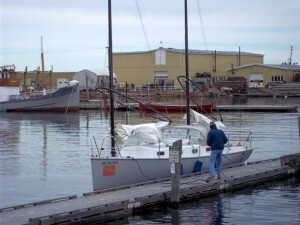 The boat has its own ginpole that drops into a socket next to the mast hole. 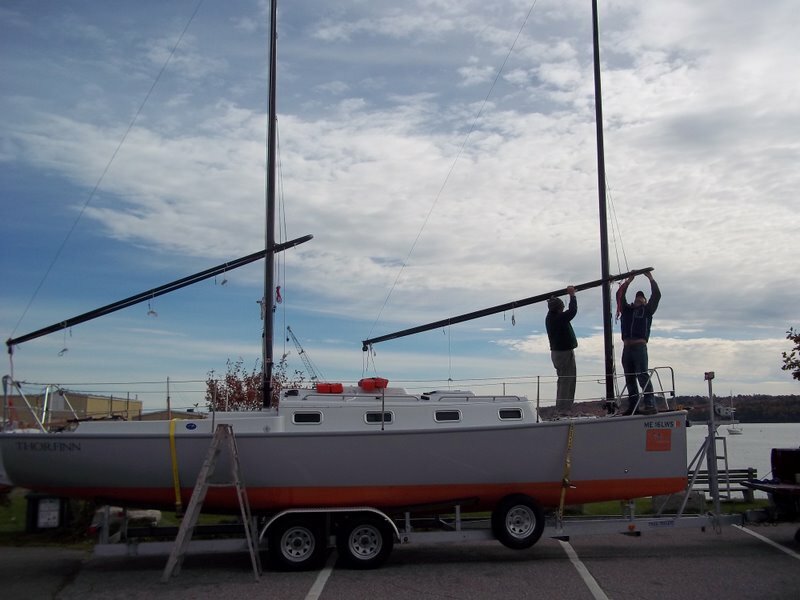 The mast is hung at its balance point and lifted with the ginpole until it is high enough to turn vertical and be lowered into the step. 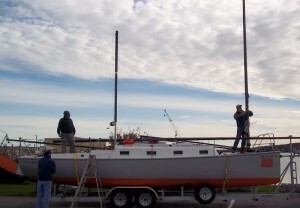 The forward mast has been already stepped and Mike has the ginpole set and ready to step the aft mast. 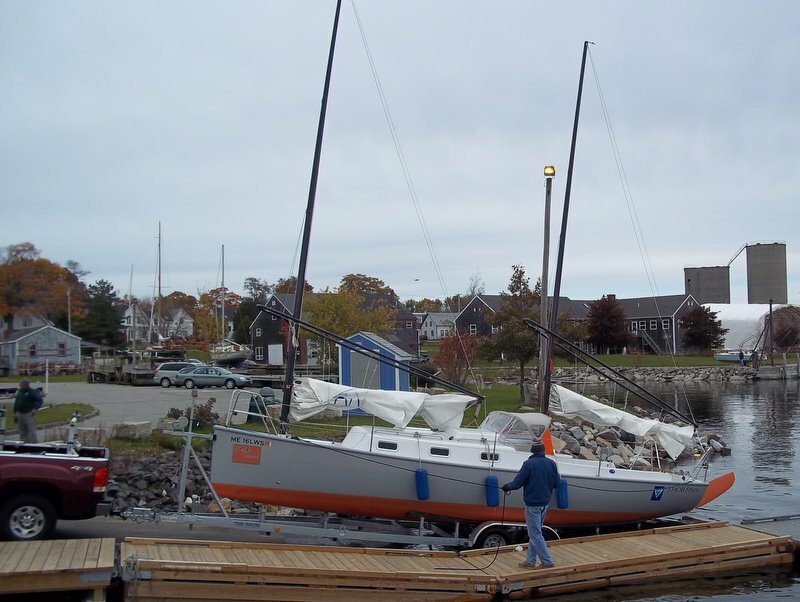 The masts are unstayed, so all that is left is hanging the booms, bending on the sails, and installing the dodger. 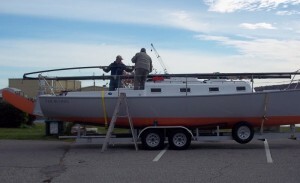 The boat is a centerboarder and is light enough for Thor to be able to push it off the trailer with the back end barely floating. 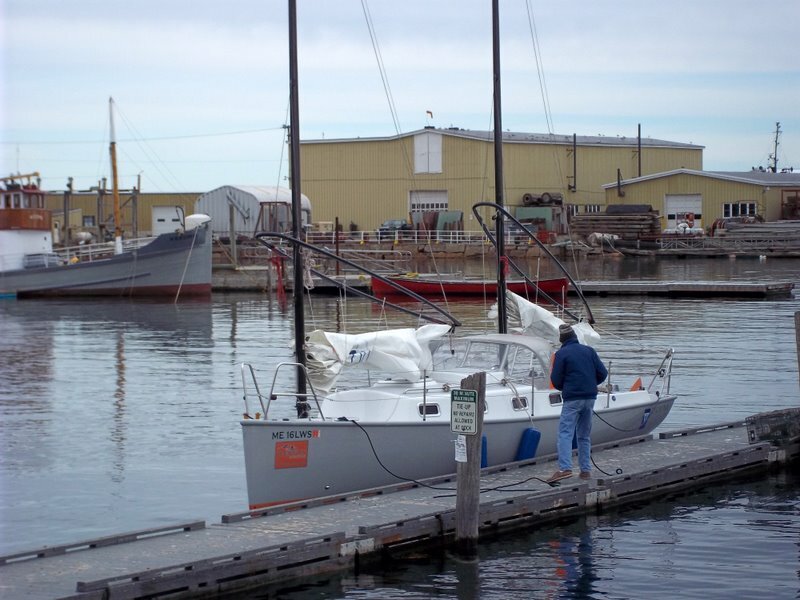 Load up the icebox and you’re ready to go. 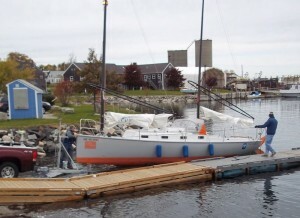 Auxillary power is an outboard in it’s own well, retractable with bottom cover. 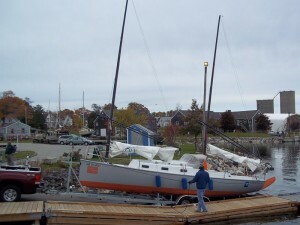 Unfortunately there wasn’t a breath of wind that day, so we didn’t go sailing, but Thor says she goes good. We took a rain check on that. 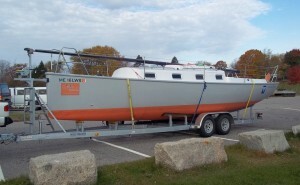 We’ll be talking about this on the next boattalk, Tuesday Nov. 9 at 10am Eastern U.S. time.